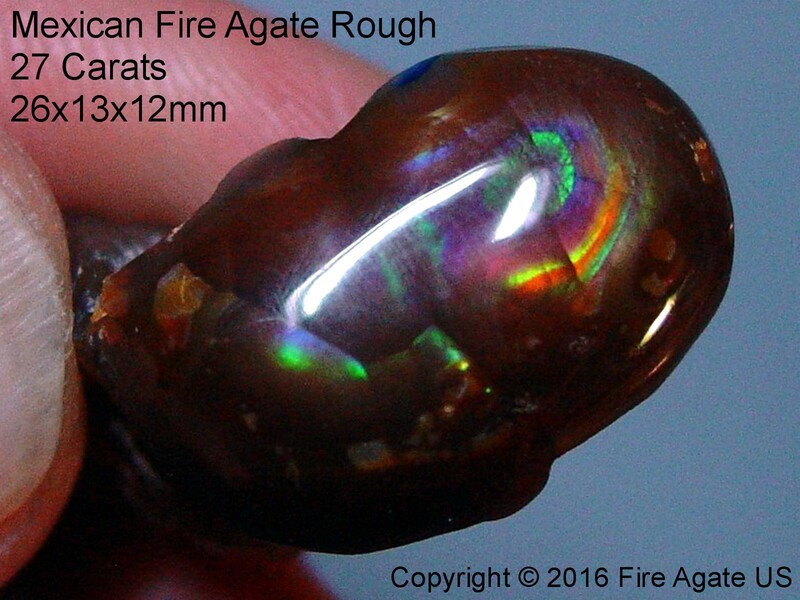 (Agata De Fuego as it is called in Spanish) mines in the Mexican State of Aguascalientes are known for producing quality fire agate gemstones with mixed color variations from reds, greens, purples and blues. This page features bright and colorful pieces of mexican fire agate rough that are a small selection of some of the Mexican Fire Agate Rough that we have either carved, owned in the past, or are part of our fire agate collection. 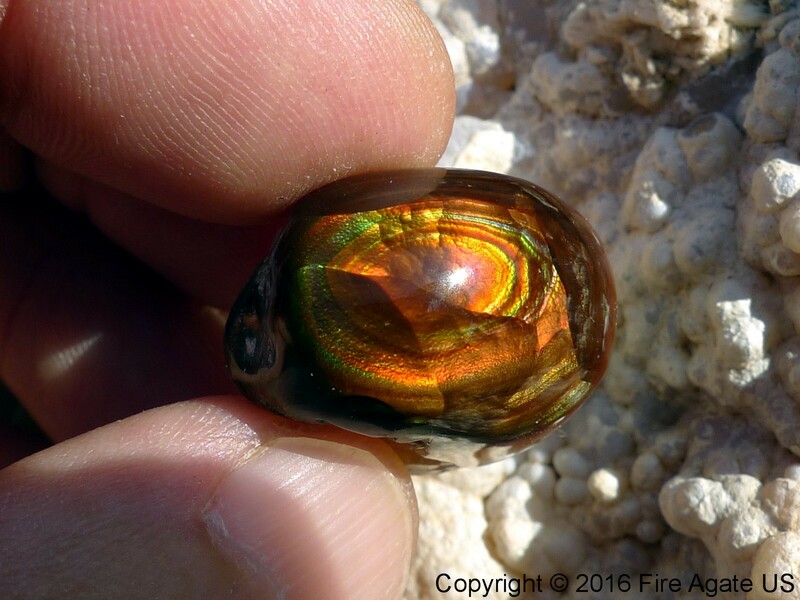 This bright and colorful Calvillo Mexican Fire Agate preform cabochon shows wonderful rainbow fire colors and has a high gloss polish. It could be recut into a great jewelry cabochon or used in a gem or mineral collection. This piece of fire agate rough has been windowed and lightly polished to help display the internal fire and is ready for final gem cutting or mineral specimen display. It currently shows green, red, gold and blue colors.